This compressor is for the user whose demand requires working around the clock. 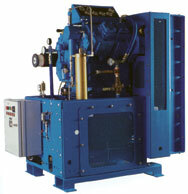 CompAir’s watercooled high performance compressors provide simplified maintenance and quick remove/replace valves. These compressors have been tested and certified to meet the US Navy’s stringent NAVSEA requirements.